Enter the 12th Annual Exposed DC Photography Contest! We’re excited to announce that the 2018 Exposed DC Photography Show will be hosted by Dupont Underground! The winners of the contest will have their images projected throughout the former trolley station that has been repurposed into an innovative cultural space. We look forward to celebrating local photography in a place with a fascinating history in the heart of D.C.! The opening reception will be held on May 11, and the images will be on view through May 18. Given the later than usual show date, we’ve decided to extend the deadline for submissions to February 28 so you can take advantage of the additional time to find, or even go out and take, those perfect photographs to submit. If you’ve already entered: Don’t worry. You have the option to exchange photos in the sets you’ve submitted. Or better yet, increase your chances of winning by entering a whole new set. 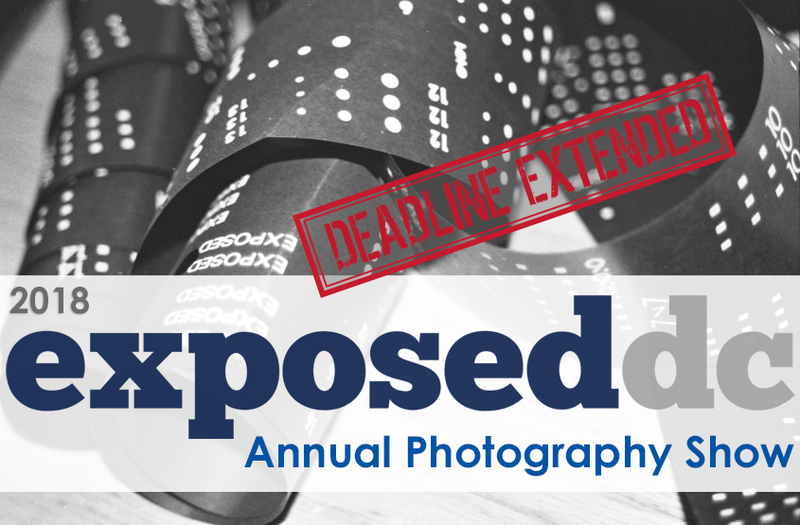 Enter the 12th Annual Exposed DC Photo Contest! Our 2018 photo contest is open for entries! Next spring we’ll host the 12th annual Exposed DC Photography Show, our celebration of living in the Washington, D.C. area. We want to see your images of the people, places, art, music, food, sports, culture, and beyond of this incredible town. The District is often considered just a tourist destination or a political mud-pit, but it’s so much more to those who live, work, and love here. The Exposed DC exhibit shows our city as only we know it. The contest is geared towards photographers who don’t usually exhibit their work, but it is open to all – send in your terrific iPhone shot or your sharp Leica photo. If you simply love taking pictures, this is your contest. The deadline for submissions is January 11, 2018, so if you don’t quite have the shot you want yet, you have plenty of time to go out and get it! Need inspiration? Check out the winners from our 11th annual exhibit. Tomorrow, December 7, we’ll be at Meridian Pint to kick off the contest at our monthly happy hour. Join us from 6 to 8 p.m. and meet the Exposed DC team, previous years’ winners, and fellow photography lovers. Rules and guidelines for entering the contest and participating in our exhibit are covered in the submission page. Have questions or comments? Comment on this post or ask us tomorrow at Meridian Pint, and subscribe to our newsletter for all our contest and exhibit updates. If you’d like to volunteer for our team, please drop us a line.